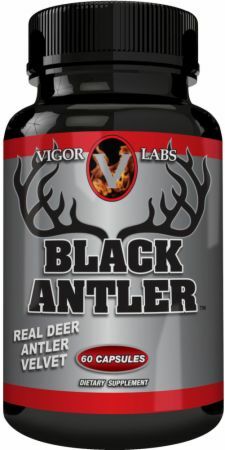 Black Antler by Vigor Labs at Bodybuilding.com - Best Prices on Black Antler! Black Antler™ contains real Deer Antler Velvet and supporting ingredients to help with your bodybuilding and fitness goals. * Black Antler™ also helps with joint support and muscle growth. * Black Antler™ is a 30 day supply in 60 capsules. 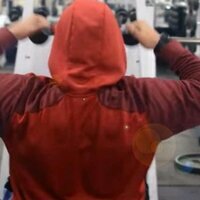 You heard about pro football players taking it, now it is your turn to get fit! Deer antler velvet, which comes from Australia, is a name that's used to describe the antler velvet harvested from the antlers of growing deer. The antlers are removed from the animal before they solidify into solid bone, and the velvet is harvested with no harm coming to the animal. Nothing better to heal the joints up and recover than real IGF1 deer antler velvet. If you are over 30 your joints aren't what they used to be and you pound away at them in the gym or just walking. This product works for me. Haven't noticed many changes, although I am in the early stages of the bottle. 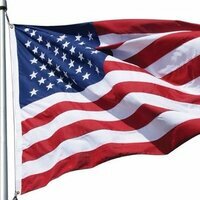 Will continue to use and see if any changes occur. 10. Not a lot of great real deer antler velvet around anymore, I believe this stuff is the real deal. Very effective deer antler for me must yield a crazy amount of igf1 naturally otherwise you would just get placebo results- works for me. Stacked with Raw HGH for better sleep and growth is the way to take it. i just found out it is cheaper if you buy it in the stack they have so i'm going to reorder that. The quality deer antlers velvets are hard to find that work. I read this type of antler it yields real IGF1 so thats why it is good and its natural. I ordered it from bodybuilding.com. Favorite deer antler formula for a while. Take this with the Raw HGH. Deer Antler packs on muscle 4 me and I recommend it to the older guys that train. I can get a 3 kilo gain on a cycle of the stack. I take it on empty stomach for max uptake. 10 and i am stacking it with raw hgh both good products. 1 stack got me 7 pounds gain I think most is muscle. Better than those sprays for Deer Antler. The sprays have much less. Nanograms in the sprays which is not much of anything. I am getting results with this and Raw HGH as a stack that my buddy turned me on to. Yes I actually bought this myself. Good for my MMA training in combo with Wrecking Balls. The mma mags I read always feature this. Just trying to get that edge in the gym still every year it gets harder! Saw in Flex mag Black Antler worked for me with Raw HGH. When does Raw IGF-1 come back in anyone know? It says backordered. Directions For Black Antler: As a dietary supplement take two (2) Black Antler™ capsules daily. Warnings: Seek advice from a healthcare practitioner to use this product if you have high blood pressure, heart or thyroid disease, diabetes, difficulty in urination due to an enlarged prostate, or if you are pregnant, nursing, or taking MAO inhibitor or any prescription drug. Reduce or discontinue use if nervousness, tremors, sleeplessness, loss of appetite or nausea occur. Not intended for use by persons under 18 years of age. Do not exceed recommended serving size. Keep product at room temperature (59°-86°F). Do not expose to excessive heat or moisture. Keep out of reach of children. 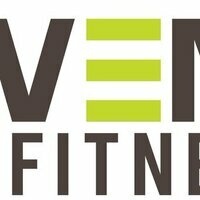 Learn more about Deer Antler Velvet.